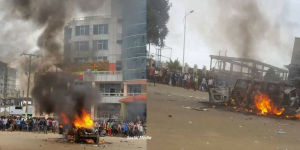 Addis Abeba, July 11/2018 – The federal army has been dispatched to Debre Markos city, east Gojam zone of the Amhara regional state, 305 km north of Addis Abeba, to disperse city residents who have besieged a hotel thought to have accommodated veteran ANDM founder and member Bereket Simon. 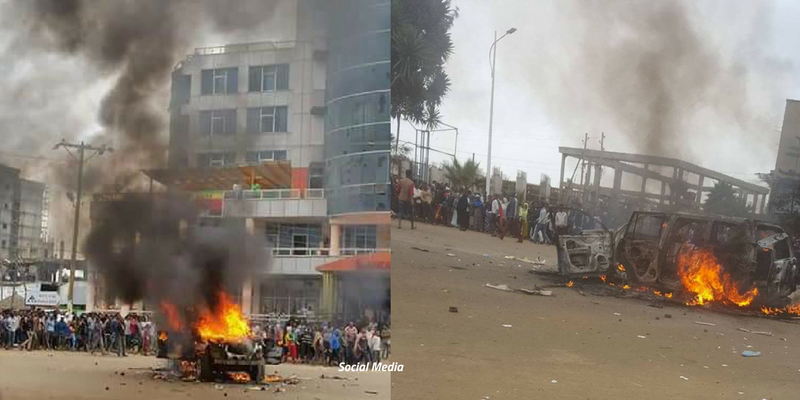 The army was dispatched nearly four hours after the residents, demanding Bereket be handed to law enforcement, have begun burning a vehicle thought to have belonged to Berket. 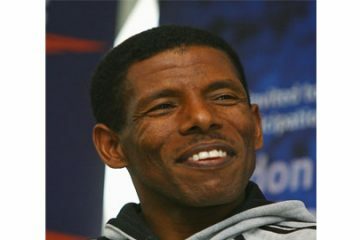 According to Nigussu Tilahun, communication bureau head of the Amhara regional state, the chaos started unfolding after false information began circulating in the town alleging that Berket Simon and Migbaru Kebede, another senior member of the ANDM, were secretly holding discussions with the town’s people. “Surprisingly, Migbaru Kebede is attending the Amhara regional state council meeting in Bahir Dar with the rest of us,” Nigussu said on his Facebook page posting a picture showing Migbaru while attending the meeting. The hotel where Bereket is said to have been accommodated has been damaged, Nigussu said. Nigussu referred to recent incidents where names of senior officials are being evoked in order to confuse the public and incite violence. He cautioned the public to stay vigilant. Addis Standard learned that the army is currently clearing off the streets near by the Hotel located at at Eseyinesh building, one of the newest buildings in the city. There hasn’t been any causality other other the burning car and the damage on the hotel building. It is not clear if the army helped Bereket Simon leave the hotel room where residents believe he is staying at. But “many residents are refusing to clear off the road,” Abere told Addis Standard by phone.